I know, I know; we “can’t save everything.” But the fact remains, the little building at 10th and Locust was the last of the commercial buildings in St. Louis from the 1870s–or even earlier. Now everything is gone. 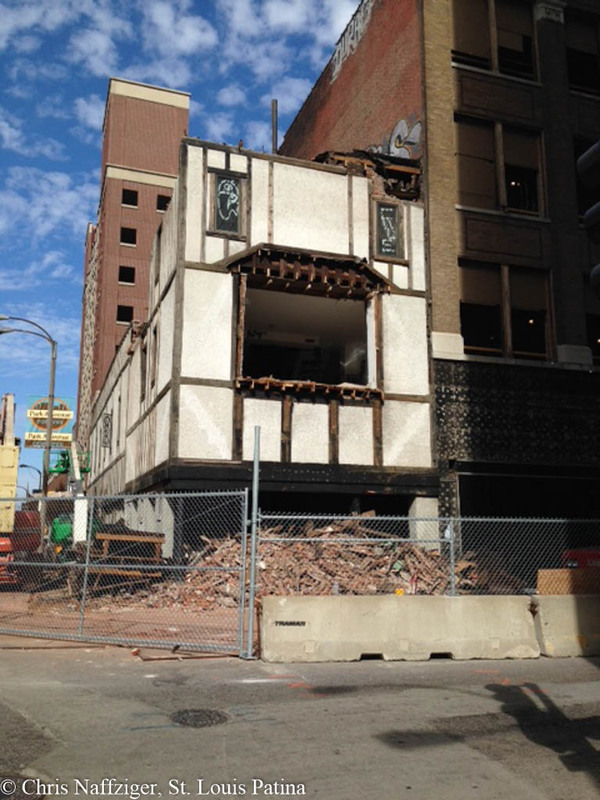 That was the old Fatted Calf at Eleventh and Locust. My mouth still waters for their cheddar cheeseburger and onion rings. good afternoon chris, I did not know that this building was being demolished. an old friend of mine many years ago told me that this building was an exclusive art gallery in the 1930’s and 1940’s. he said the gallery featured one of monet’s lilly pond paintings along with works by other famous artists around 1930. the Pulitzers were patrons of this gallery. It was in fact a very notable art gallery! Sadly the building is now completely gone–this picture is old.